Welcome to Compare Airport Transfers .co.uk! Compare from thousands of aiport, resort and hotel transfer services. Depending on your party size, choose from cheap shuttle transfers, through airport taxis and minibus transfers all the way up to coach transfers for larger groups and group bookings. Find the best deal Holiday Transfers with Compare Airport Transfers today. Book one-way or return transfers between your holiday airport and resort destination or hotel. Compare the prices of the available airport transfers to save you money when you book your airport transfer! Visit Compare Airport Transfers .co.uk to find low cost holiday transfers worldwide. We will find you top deals on airport transfers, resort transfers, city transfers, port transfers, airport taxis, holiday transfers and ski transfers. If you are looking to book a transfer to get you from the airport to your hotel or from your hotel to the airport we'll help you find it. Need a pick-up after you get off your cruise liner then we can help with that too as we have a access to port as well as airport transfer services using low cost shuttles, private taxis, coaches, limousines, executive cars or other alternative direct transfer services and specialist mobility transfers to cater for any particluar needs. If you have ever been on holiday before then I am sure that you are more than aware of the hassle it is to grab a taxi or a public bus straight after you have gotten off the plane. Not only is it difficult to know where you are going in a country that you have most likely not visited before, but it is also going to be incredibly cramped conditions on a bus with all of those people clambering for space. In a taxi you may have to wait a very long time for a taxi to become free as you need to remember there are going to be a lot of people from your flight doing exactly the same thing. Wouldn't you love if there was an easier way? Thankfully there is, and that comes in the form of Resort Transfers. The idea of Resort Transfers is to take you directly from the airport to your final destination. This means that there is no fuss getting off the plane and trying to locate exactly where you need to go which can end up being a downer to the start of your holiday. When you opt for Resort Transfers you will be taken right to where you need to go. You will of course need to book your Airport Transfers in advance. With some of the larger companies there will be a representative waiting at the airport to guide you to the shuttle that you need to get on. Resort Transfers can take a number of different formats. By far the most popular and the cheapest is getting a coach with a number of other passengers directly to your resort. Don't worry about there being squashed like on a public bus however, there will already be a pre-booked seat for you on thus bus which means that you can sit back, relax and enjoy the journey to your destination. It is likely that there will be a number of other people getting off the coach at the same resort as you. This gives you the perfect opportunity to make friends! The second option is an airport taxi. These are ideal for slightly larger parties however they will also cater for smaller ones too. 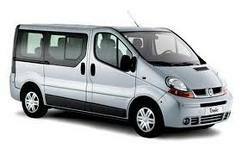 These are private taxis, either a car or a minibus which will take you directly to your resort just as the coach will. The benefit of this is that there will not be any other passengers apart from those you know in the airport taxi and thus you really can sit back and relax. When you arrive at the airport it is likely that there will be somebody holding up a sign with your name on it and thus you will be easily able to identify which way to go. Don't worry if you land late though, your taxi driver will be keeping up to date with the latest arrivals and thus they will know exactly what time to arrive at the airport to pick you up. This is a completely hassle free method. The third option is taking a limo from the airport. You will actually be surprised at just how popular this is as a method of airport transfers to a resort. They do work in pretty much the same way as an airport taxi service as you will have your own personal driver. The major benefit of travelling using this method is the fact that they will get you to your destination with the minimum amount of fuss and of course you will be travelling in extreme style. It is worth bearing in mind that there are a number of airlines out there who actually offer this as one of their perks for frequently flying with them, Virgin Atlantic is one of the more popular of these. Of course, resort transfers won't only get you to your destination they will also be able to get you back to the hotel when your holiday is over. Again, this will be a pre-booked collection time. The coach or airport taxi will turn up at the resort or close by and then take you back to the airport. It is worth noting that some of the larger resorts out there actually offer a free airport transfer service both to and from the airport so this may be something that is worth looking into if you are staying in one of those. Many people incorrectly believe that airport transfers only need to take place in your destination country. However, there are plenty of private transport companies that operate in England. They will get you to your destination airport quickly and safely, this means that you don't have to mess around for ages with those National Express coaches or train service. Often the price can actually work out cheaper than these coaches if a large party is travelling as well so it is worth looking into. They will be able to take you to (and collect you from) any of the major or minor airports in the United Kingdom. Often you will need to book in advance as due to their popularity they do get booked up pretty quickly. Once you realise the benefits of airport transfers you really will not want to travel any other way again whether you are travelling to the airport or to a resort that you are staying in. Remember, as Airport Transfers are an increasingly competitive market you will find that there are a number of deals available from some of the biggest companies in the industry. Whether you are looking for a coach to carry out your resort transfers or airport taxis then it is certainly worth searching around for a while to ensure that you get the best possible deal on your transfer. After all, money saved here can be put towards the rest of your holiday. What airport transfers are people comparing most?